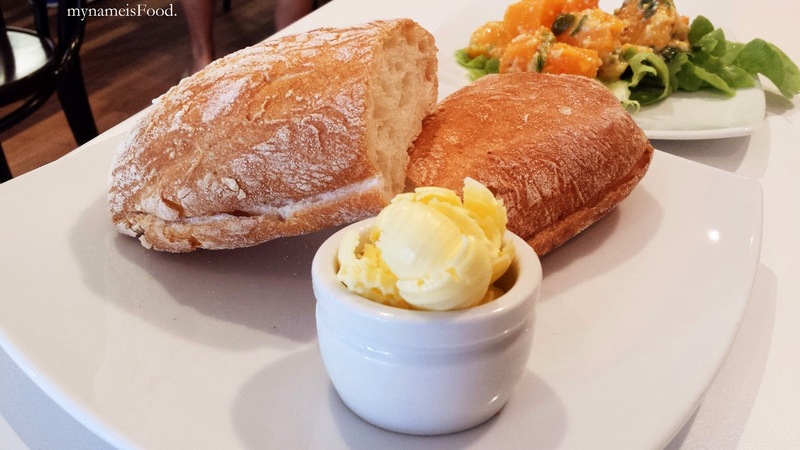 French and Mor, Albany Creek, Brisbane - my name is Food. 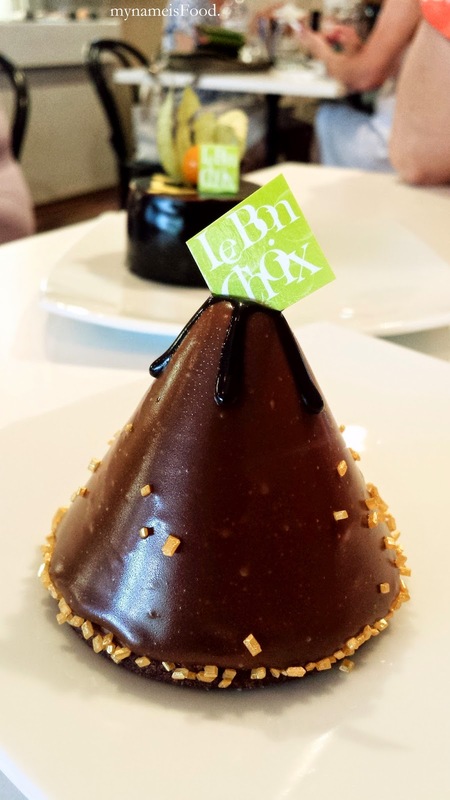 Though this may not be Le Bon Choix in the CBD, this place may be known as the original Le Bon Choix until it changed its name to French and Mor. 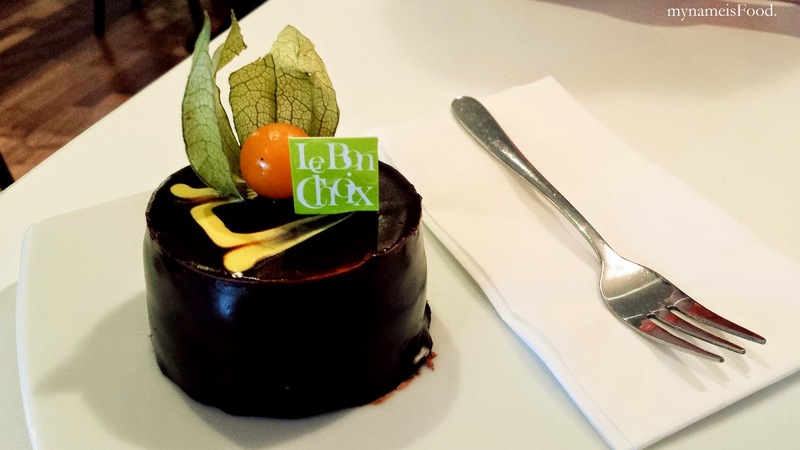 Offering a wide variety of freshly baked breads, salads, sandwiches and of course, offering Le Bon Choix cakes. Located in Albany Creek in a humble shopping complex, we came for brunch or maybe it was lunch, I can't recall.. there were a few parking spots available though it may get filled quickly. 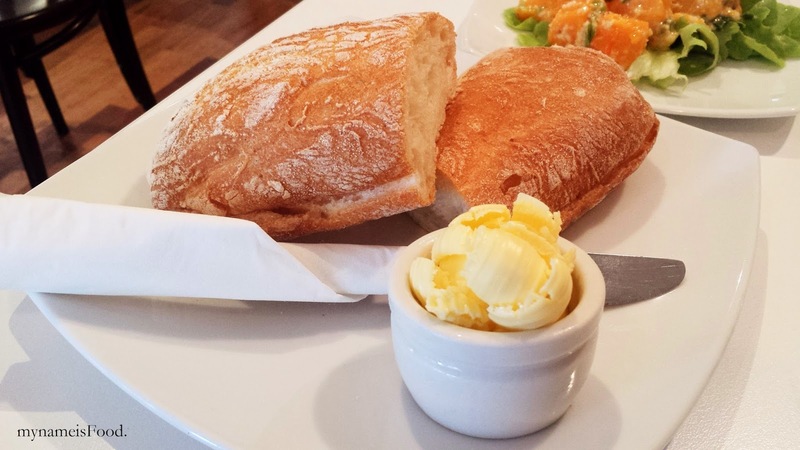 Being not that hungry, we decided to get 'Ciabatta' ($1.5) sliced in the middle with a side of butter. The ciabatta was crusty on the outside and soft inside, reminds me back when I used to handle Ciabatta breads to make bruschettas at work.. 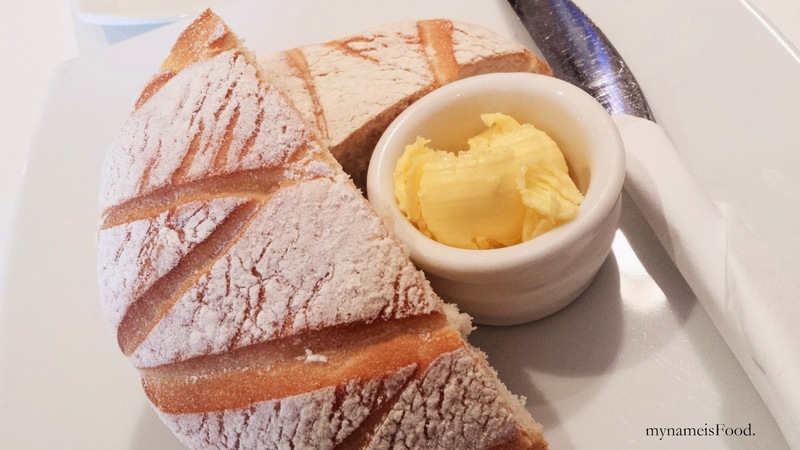 The butter was just normal butter so it was just very simple. I think... this was the 'Foccacia Roll' ($1.5) though I may be wrong, because I am a bit blank at the moment with the bread names.. (Oh, how could I.. 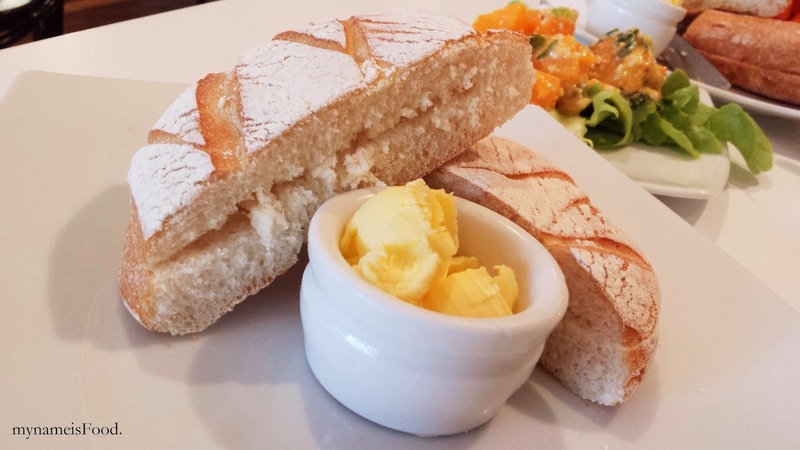 I love different types of breads..) It had a chewy light crusty crust and a very soft fluffy white bread inside.. 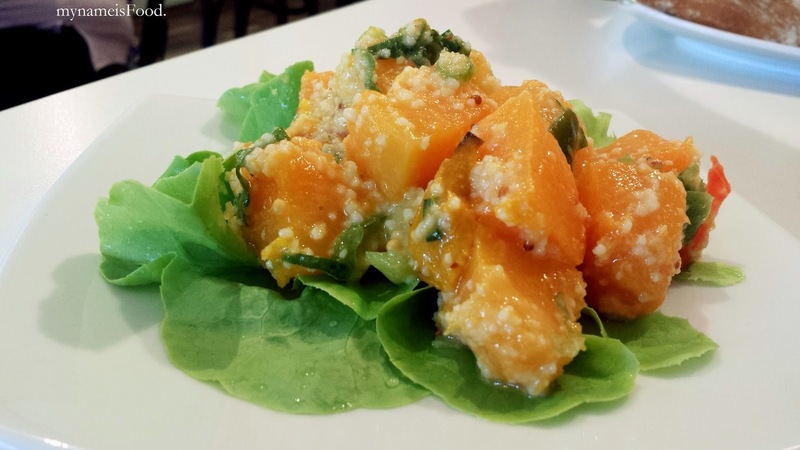 I saw their Pumpkin and Quinoa salad on their glass display and felt that it would be a nice accompaniment to our simple breads and butter. 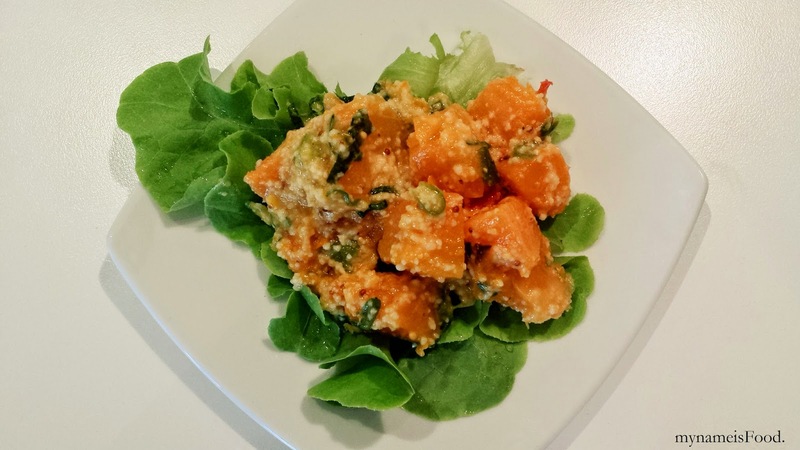 A mix of simple greens, chunky diced pumpkin, quinoa and spring onions. It was fresh and cold, but I felt that it was a bit too lemony. 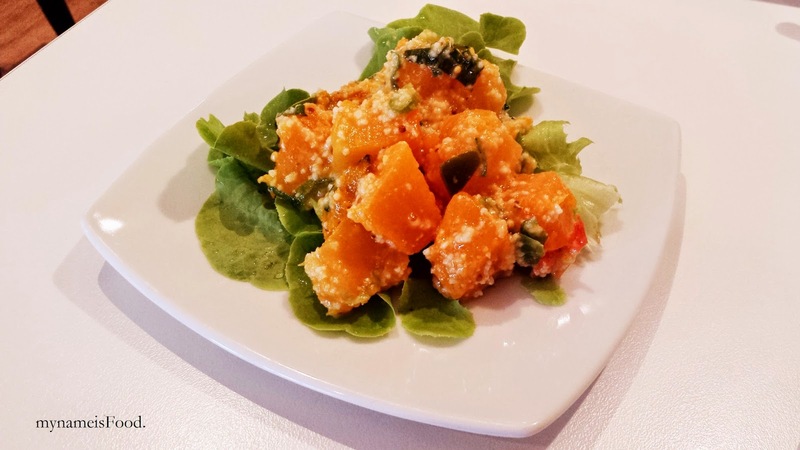 I enjoyed how the pumpkin was diced quite big and not in little cubes. They have a few varieties of salads available, though I am not sure if it is changed daily or always the same. 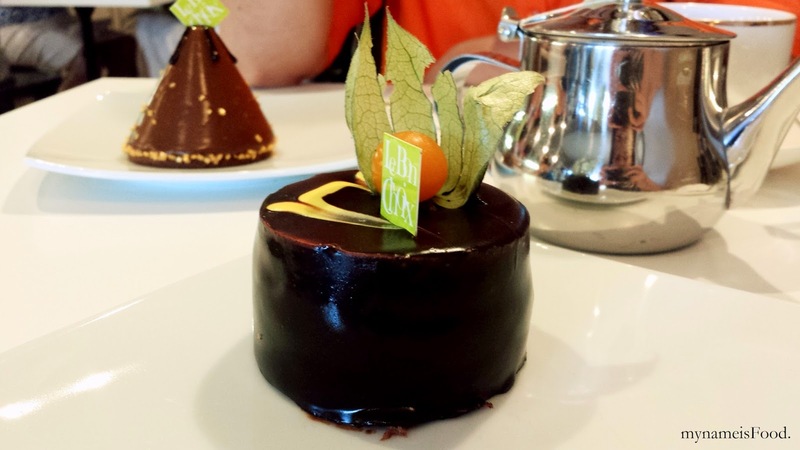 And now for the cakes.. We bought two different individual cakes, the first was the 'Jocelyn' ($7.5), a coffee & chocolate mousse with a ginger brulee centre with a hint of caramel.. 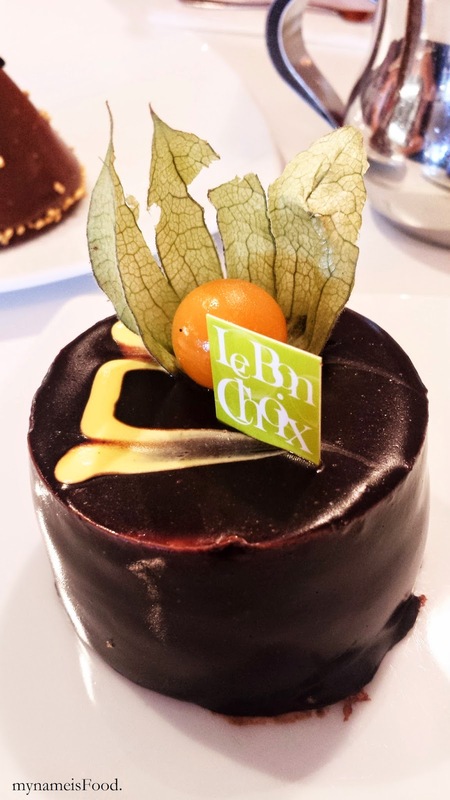 I didn't realise that they had added a few more cakes in Le Bon Choix, I sure have to go visit them soon to try their other new ones. I found this too be better for its outlook than its taste. 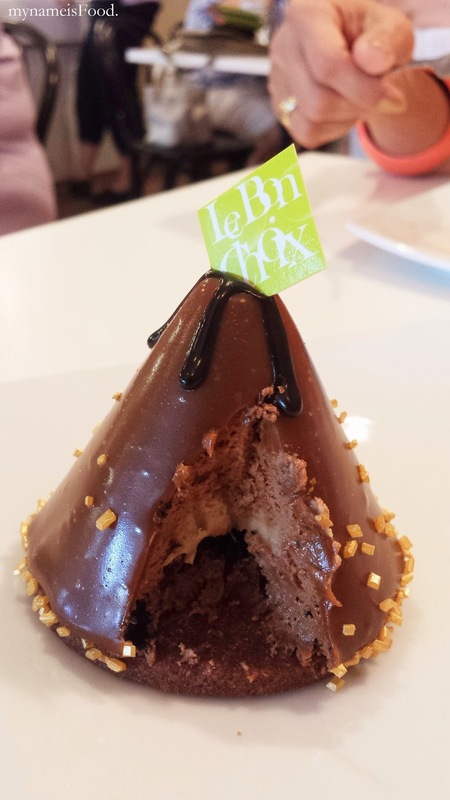 The outlook and presentation of this is quite unique, similar to a chocolate volcano I might say. 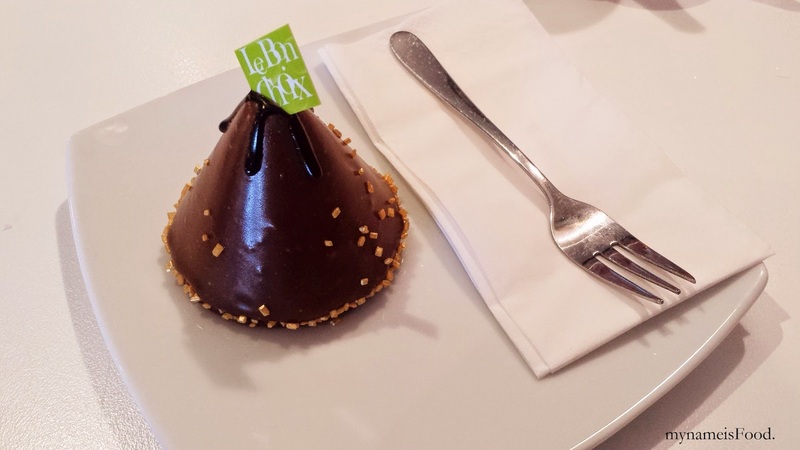 However, the coffee mousse was overpowered by the chocolate mousse and the ginger brulee centre was maybe the only unique feature and taste for this cake. 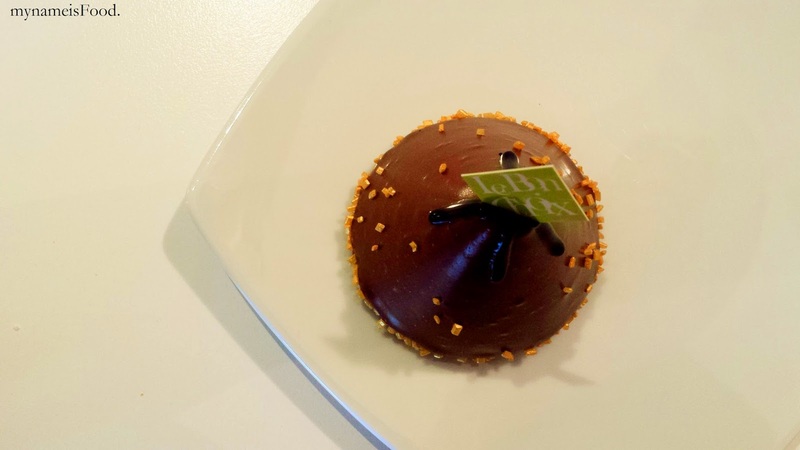 'Masada' ($7.5) on the other hand, was a dark chocolate mousse with mandarin jelly centre. 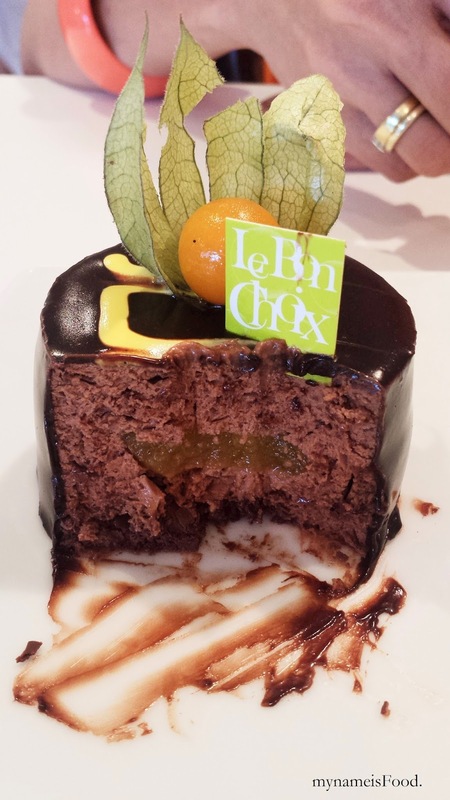 If you're the type that likes fruity chocolate, then this is the cake for you. I liked this better than the 'Jocelyn' if I had to choose from the two. 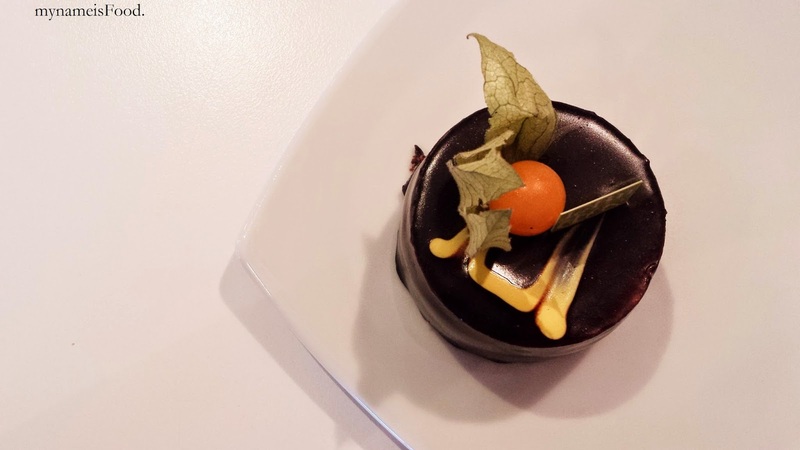 Coated in a rich dark chocolate layer, topped with a dried leaf and a mandarin jelly. I do have to say, the mandarin on top of the cake had that sourness of mandarin, though be careful when biting it, since the juices and liquid may come out automatically once you bite it. 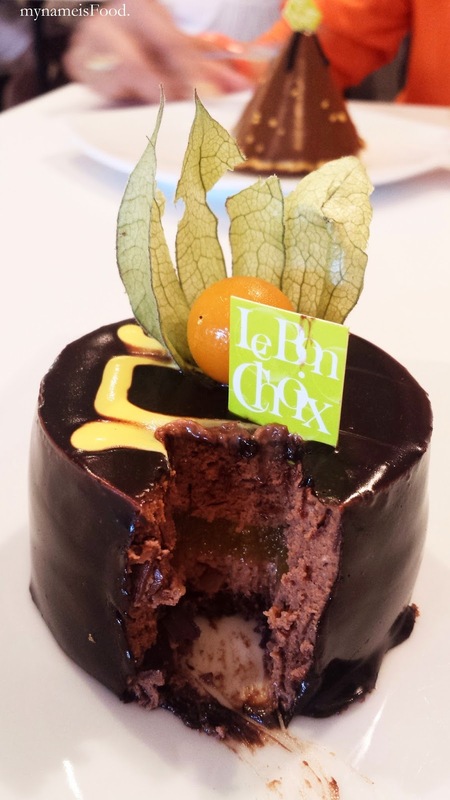 The mandarin jelly was the highlight, allowing it to blend and combine with the chocolate mousse well, with that hint of mandarin and that chewyness.. Kind of feels like it is melting in your mouth. The thin dark chocolate coating also gives it that elegance.